I am Assistant Professor of Biological Anthropology, and co-director with Dr. Eva Garrett of the Sensory Morphology and Genomic Anthropology Lab (SMGAL) at Boston University. I also conducted research as a postdoctoral research fellow at the Center for Neurobehavioral Genetics at UCLA, and as a postdoctoral scholar in the lab of Dr. Leslea Hlusko at the Human Evolution Research Center in the Museum of Vertebrate Zoology at UC Berkeley. In 2010, I received my Ph.D. in Biological Anthropology from New York University under the auspices of the New York Consortium in Evolutionary Primatology, a multi-institutional NSF/IGERT-funded graduate program, and the Center for the Study of Human Origins. My central research questions involve primate development and life history and incorporate techniques from behavioral ecology, morphometrics, and genomics in two primate models: New World atelins and Old World vervets. 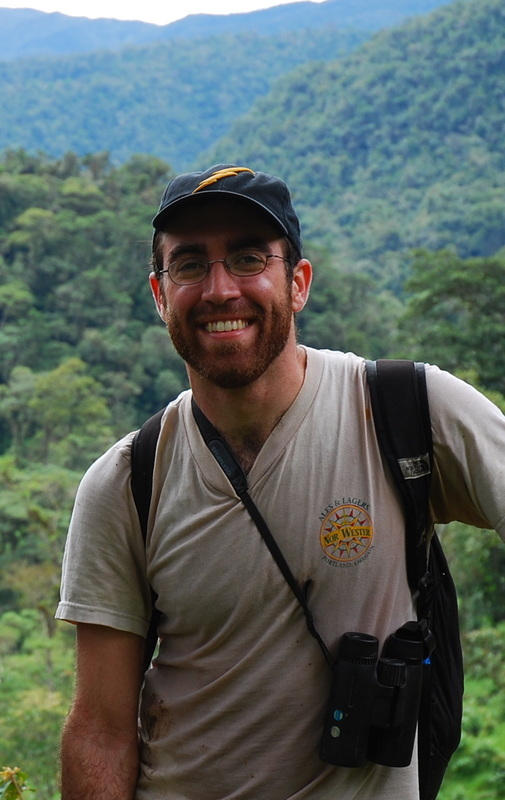 I use biomedical and genomics-based methodologies to better understand primate development. Through intensive fieldwork across Africa and the Caribbean with the International Vervet Research Consortium I have collected biological samples from over two thousand wild vervet monkeys (Chlorocebus spp.). I am collaborating on a number of NIH-funded projects ranging from the evolution and pathogenicity of SIV in wild vervets (published in PLOS Pathogens and the Journal of Virology), to genome-wide variation and gene-expression in relation to health phenotypes (both recently published in Nature Genetics). You can learn more about the diversity of the research program and my own role in it in our forthcoming book, Savannah Monkeys: The Genus Chlorocebus, out in January 2019 from Cambridge University Press. My core project involves the genomics of obesity during development, currently being conducted with captive vervets (Chlorocebus sabaeus) at Wake Forest University. I am using over 700 fully sequenced and pedigreed individuals to run linkage analyses on obesity phenotypes. My work, recently published in the International Journal of Obesity, shows that vervets have significant and high heritability of obesity phenotypes and evidence of significantly different developmental trajectories in chronically obese and non-obese adults. Furthermore, the genomic regions associated with these obesity phenotypes appear to be the same associated with metabolic disorders in humans. This work also found a significant influence of maternal diet during gestation on growth and adult-onset obesity in male vervets, suggesting maternal programming of offspring fat deposition consistent with the thrifty phenotype hypothesis. As a postdoc in SMGAL, Dr. Alicia Rich plans investigate this more closely by analyzing patterns of gene expression in the adipose tissue of infant vervets gestated on varying diets. As part of this project, I am also looking for evidence of selection and ecogeographic variation in these phenotypes and genotypes in our extensive wild sample, assessing variability in phenotype expression and population-specific selection based on local ecology and anthropogenic impacts. We have already found evidence of selection for body mass and growth phenotypes across vervet monkeys consistent with Bergmann's and Allen's Rules (recenty published in the American Journal of Physical Anthropology), and, with my graduate student Christian Gagnon, will be looking for evidence of genomic and gene expression variation consistent with these patterns. The core of this aspect of my work involves comparative sampling of vervet growth, genomics and health phenotypes from wild populations two field sites: Soetdoring Nature Reserve, where vervets eat natural forage, and a private farm near !Gariep Dam, where vervets are provisioned with human and agricultural feed, both in the Free State of South Africa. Field work for these projects is ongoing, and can be followed on social media at #BUvervets16, #BUvervets17, and #BUvervets18! My second major project involves using established genotype/phenotype relationships to better understand the evolutionary history of dental variation across primates. Done in collaboration with Leslea Hlusko of UC Berkeley, Siobhan Cooke of Johns Hopkins University, and Tesla Monson of the University of Zürich, my research looks at variation in two genetically patterned phenotypes: the inhibitory cascade (MMC, or molar/molar cascade) and the premolar-molar genetic module (PMM). Our recent paper in PNAS suggests that these phenotypes show clear separation across primate taxa among catarrhine primates, and that the location of taxa in the MMC/PMM morphospace corresponds with dietary niche, permitting the broad tracking of dietary niche separation and evolution in the primate lineage. We are currently expanding these methods to investigate hypotheses of dietary niche separation during the evolutionary history of platyrrhine primates, as well as the influence of body size and allometry on these phenotypes at different taxonomic levels. My dissertation project – Comparative behavior, development, and life history of wild juvenile atelin primates – assessed the impact of social structure on juvenile behavior and life history in sympatric spider (Ateles belzebuth) and woolly monkeys (Lagothrix lagotricha poeppigii) in Amazonian Ecuador. Established hypotheses for the evolution of delayed maturation in primates emphasize juvenile foraging incompetence and competition with adults. I found that foraging competence is reached early with minimal competition in atelins. These results challenge the focus on juvenile incompetence in life history evolution. My work on broader patterns in the juvenile development of woolly monkeys were recently published in The Woolly Monkey: Behavior, Ecology, Systematics and Conservation Research, available from Springer, and my work on the effects of predation risk on group substructuring in woolly monkeys has been published in the American Journal of Physical Anthropology. I continue my work with atelins by focusing on the conservation genetics of yellow-tailed woolly monkeys (Lagothrix flavicauda) in Peru. In collaboration with community conservation-based NGOs Yunkawasi, Neotropical Primate Conservation, and as Consulting Research Scientist with Rainforest Partnership, my student Mel Zarate and I will be conducting the first population genetic assessment of this Critically Endangered monkey throughout its known range in Peru. For more information, and information on other research projects and collaborators, please follow the links above or you can contact me by email. If you still want to learn more, I also have a rather robust social media presence.